We all love music and, as music lovers, we want to take our favorite songs everywhere we go, either be in our phones, laptops, desktop PC´s iPods, whatever device we like the most. In the vast industry of music, we are living today, there is always new songs and artist coming out with a great talent. However, as the new songs and artists come out, our computers or hard drives are running out of space. If you are a music lover, you will probably understand this situation and you are probably searching a way to store more music on your computer without having to buy a new hard drive. Probably the best way to save memory and, be able to store more music in your computer, is through an audio converter. Nevertheless, the tricky part is to find a good audio converter that can actually offer you a great audio conversion quality, a great conversion speed and, easy to use. After many years of search in the web and trying all kinds of audio converters, I came across with several audio converters that actually worth a try and I recommend the most. This is by far the best audio converter I have tried and the one I am still using nowadays. It changed my music game and it has allowed me to convert audio files in the best quality, either you have Windows PC or iOS, is the best option for you. AudioConverter-Onlines.com is the only online audio converter that works just perfect. It converts audio files in an outstanding quality (not to say the same quality of the original) and in no time. It is super fast and allows you to convert your audios almost on every audio file format available, it supports lossless mode, and you can choose from PC Upload and Remote Upload. The PC Upload allows you to convert audio files already stored on your computer while the Remote Upload, allows you to convert audio files from a link on the internet. The best feature of this great converter is that doesn’t need to be downloaded, it has the easiest platform, and can be used whenever you want. 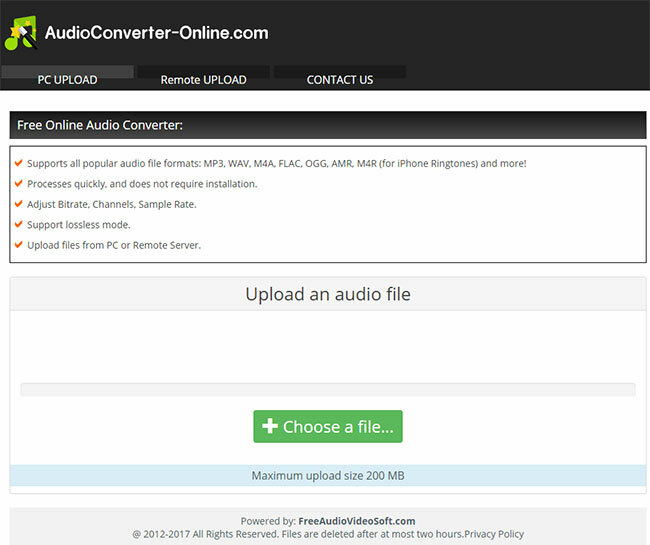 MediaHuman Audio Converter is a good paid audio converter program that you can also get for free as well. The good thing about it is that doesn’t have that unwanted publicity or any sign of malware or virus so you can be sure that is safe to download. The best part of this audio converter software is that is really easy to use, however, is not that fast when converting your audios. Pazera Free Audio Extractor is free decent software to convert audio files, it supports the most popular audio file formats and it can convert them in a good quality as well. It doesn’t offer you as many options as other audio converters but it does the job if the only thing you want is to convert your music. Is pretty simple to use and the conversion quality is good as well. 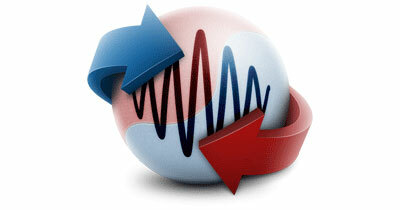 Super is the kind of audio converter you want to own if you want to convert rare audio formats. It has a lot of different audio file formats options that will allow you to convert almost any audio you have. It has a friendly interface to use, however, it is a little bit difficult to install if you are not a computer guy because it shows a lot of features by default that might be confusing for some people. 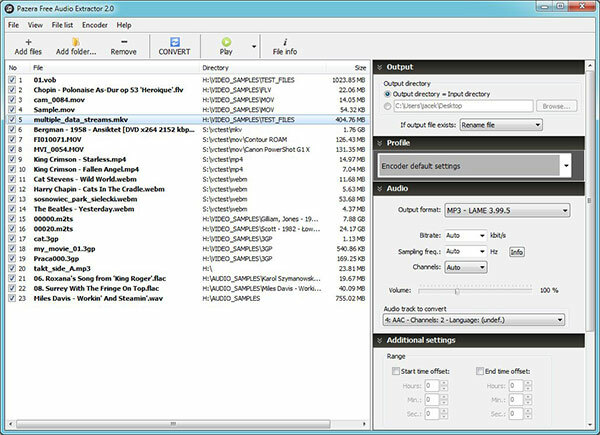 Unlike SUPER, Freemake Audio Converter is a really friendly audio convert program that you can install with simple steps; it does have the most popular audio file formats and can convert them into a good quality. Even though is really easy to use, fast, and the conversion quality is really good, you can’t convert audios longer than 3 minutes, this is a big-time downside because the app is really good. However, if you want to be able to convert audio files longer than 3 minutes, you have to download the paid version of the program. Free Oxelon Media Converter is the type of converter that you can take advantage of if you have a computer with a good processor because it takes advantages of them to convert your audios in the fastest ways. You can multi-convert your audio files at a great speed with Oxelon and in a good quality as well. Despite its speed, it doesn’t have as many audio files formats as the other apps. Audials Tunebite is an innovational audio converter program that allows you to convert audio files from your computer´s sound card. What this means is that you can convert your audios from your streaming services like Spotify, Pandora, etc. to an MP3 format or several more available. It can be used to convert videos from Netflix, Youtube, etc. Without a doubt, a good option if you want to convert audio files from streaming platforms. Monkey’s Audio is a good app to convert as many audio files as possible, it can compress your audios to the smallest size without losing that much quality. In fact, it has its own file format called .ape. The downside is that its file format is not supported on every platform. A good alternative for Windows users is, without a doubt MP3Coder, you can download the free trial and start converting your audios to several audio files formats available in the app. It is only available for Windows users and, if you want to enjoy all the features you have to pay for the complete app. Switch Audio is a converter that despite being good and useful to convert audio files, you have to download too much toolbox apps to completely enjoy the app. It has a lot of output formats and can convert audio streams as well. All the audio converters mentioned before just were the tops 10 out of a bunch of converter apps I have tried. The best option for conversion speed, quality, convenience, pricing, and easy to use is, without a doubt, AudioConverter-Online.com. It is not actually an app but a website where you can have all the features of the best paid and free converter apps out there in one. You don’t need to download it anywhere; you just get on the website and start converting your audios.